How to integrate Signaturit with Salesforce? In the context of digital transformation, it is vital that you have appropriate software in your company that makes it easier to close deals faster, that increases sales productivity and that improves the overall customer experience. And when it comes to closing a deal, sales professionals will always want these digital tools to be able to help them to be as efficient as possible. In the following post, we show you how you can achieve this goal thanks to our integration with Salesforce, the software platform widely known for having developed the most powerful CRM on the market today. Would you like to receive an SMS everytime someone signs a document? Or maybe you were thinking how perfect it would be if signed documents were automatically stored in a folder in your Google Drive account? Well, now you can create these and many more actions and have them executed automatically thanks to Signaturit’s integration with Zapier. And best of all is that you don't need a developer to do it. 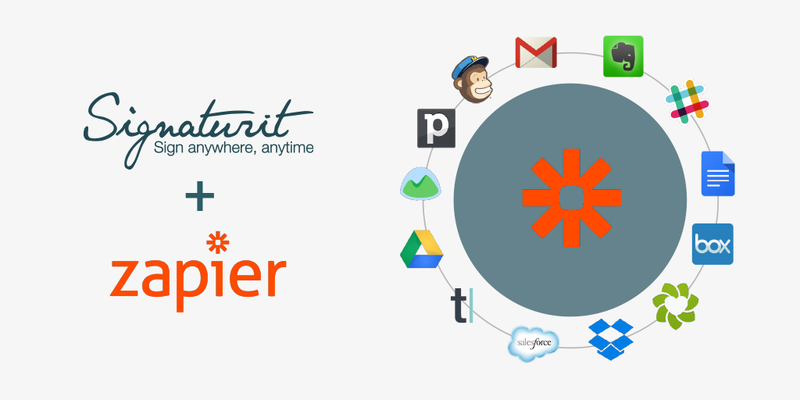 If you want to know more about our integration with Zapier and how you can start to take advantage of this task automation solution, don't miss this post. If your company has a sales team that travels often, you need a CRM like ForceManager, which is specifically designed for highly mobile sales teams, either those who move around within a city, or between cities, provinces or countries. 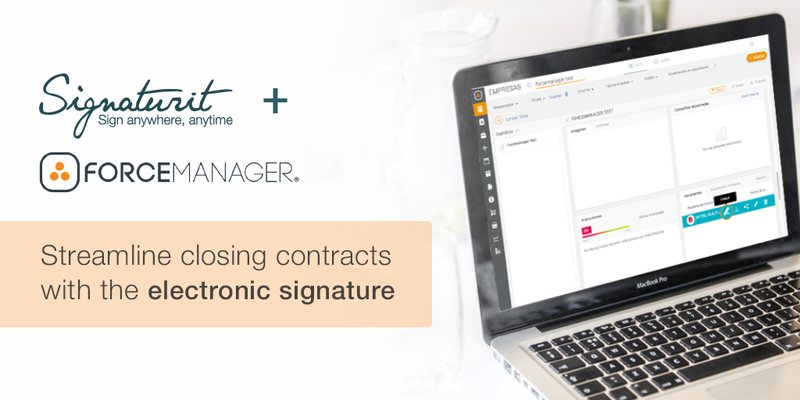 Thanks to Signaturit’s integration with ForceManager, this powerful multi-device software is even more complete, since it adds to its multiple features the possibility to sign agreements or sales contracts with the advanced electronic signature from anywhere, directly from a tablet or smartphone. In this post we explain what benefits Signaturit brings to ForceManager and what integration options are available.